Home / FAQ / Refunds that I processed are showing up on the Refunds report – how can these be excluded? Refunds that I processed are showing up on the Refunds report – how can these be excluded? Unfortunately there is no way to tell who processed a refund in the report data. Because of this refunds that you manually processed will show up in the Refunds report as a problem: “not reimb or returned”. There is, however, one way this can be remedied. We recently included a feature to import seller notes from the order detail page (for PC users). If you don’t already, when manually refunding a customer, be sure to put in a note to indicate that it was done by you. This way there will no confusion over what returns should be looked into. 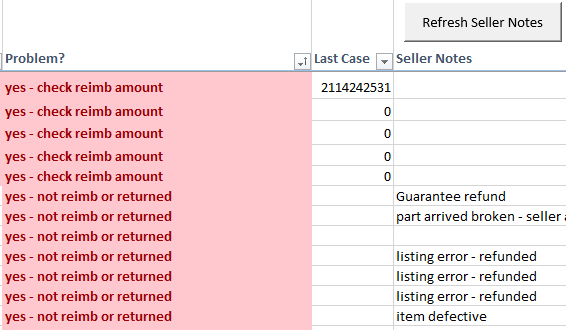 Previous post: It’s hard to keep track of FBA shipments that need reconciliation. Can the spreadsheet help with this? Next post: Can I add my own calculations/data to your spreadsheet?